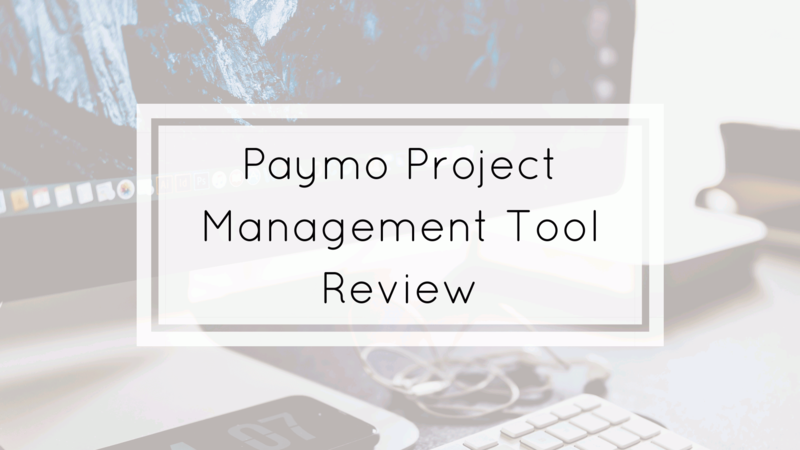 Today I would like to review the new project management tool Paymo. “A modern project management app for small & medium businesses. After the login, on the first page, the dashboard is shown which is very clear and sorted with a good overlook of different points (Projects, Finance, Clients etc.). On the left side, you have the menu with all options. With one click you can create a new shortcut, start the timer or search. I already mentioned the dashboard in the overlook. The overview is very clear and it shows all different ongoing points. In default, you can see the time spend on projects, a finance and unpaid balance, active projects, active clients and an overview of milestones. At “Clients” you can create a new client or check the listed clients. You will find the address, amount due, unbilled AR, and payments status. “Contact”, you can add a contact person. “Timesheet”, you can see the time spend on the client’s project or add time to the calendar. “Invoices”, you can see all invoices created for this client or create a new invoice. On projects, you can see all running projects or work on for this client. At the section “Projects” you can create a new project easily or have a look at all running projects. You can see the tasks, milestones, timesheets, files and discussions of the project. It is also possible to assign users to the project or discussions. There is the option to see the tasks in a Gantt-Chart, Progress Board (Kanban), Simple View or Table view. On “Users”, you can create users or edit users. You can also see in which projects the user is involved, how many time the user did spend on a project and which tasks are assigned to the user. At the activity feed, you will find all ongoing activities (discussion, comments, tasks, clients, report…). On the next field “Accounting” you have all options for creating invoices, estimates, recurring and expenses. The templates are very simple and with the drop down fields, all data can be filled in easily. On “Time Reports” you can add new reports or have a look on current reports. yourself or share it with clients. The “Timesheets” show you at what time and who worked on the projects. Add a new time or add bulk time where you can add several times at once too. The last standard included option is “My Tasks”. At this part, you can see all assigned tasks, the status of the tasks and more detailed info about the tasks. With the filter option, you can set what should be shown of the tasks. On the tasks, you can easily start the timer, add the description, assign to a user, set dates, upload files, add comments, see progress status or delete it. At the checkbox, you can complete the task. Paymo provides a knowledge base with articles and videos to understand the tool and to get to know all functions and possibilities Paymo offers.At the right corner is an option to start a conversation with a Paymo user which will help you to clarify your questions right away. Includes: Task Management, Task Assignment, Gantt-Charts, Project Planning, Progress Visual Kanban Boards, Project Templates, Bird´s-eye View of all your Projects, Milestones and detailed Project data. Includes: Real-Time collaboration, secure file sharing and unlimited storage space, and shareable notes. Includes: Web Timer, Mobile apps, automatic Time-Tracking and Timesheets. Includes: user types (admins, project managers, users) and user performance & stats. Includes: Timesheet reports for teams, customizable reports and share reports with clients. Includes: Time & Materials, Flat fee & Non-billable projects, flexible Billing Rates, Estimates & Expense tracking, Direct Payments & Online Invoicing. Add-ons & Integrations like the own mobile App for Android and iOS and Integrations like Hubstaff and Zapier. UPDATE: Paymo changed the price plan to Fully featured for 14,95 $ fix. Paymo provides everything you need to manage a project from planning a project to create estimates. At the first use, everything was clear and easy to understand there were no questions left either way I could have asked in the live chat. Left as a big point is the pricing. For more information check out our project management section or go to the Paymo website. Follow us on Instagram and Twitter to get the latest news.